Transparency International’s Senior Programme Coordinator for Central America, Andrés Hernández, discusses efforts to strengthen anti-corruption measures in the region in advance of the Second Central America and Dominican Republic Forum for Transparency, taking place in San José, Costa Rica, 2-3 November 2011. Transparency International has been active in Central America for the past eight years by supporting local civil society initiatives promoting, among others, access to information, transparency in campaign financing and clean elections. Corruption poses a great challenge in the region for the democratisation processes, judicial institutions as well as a people’s daily security. 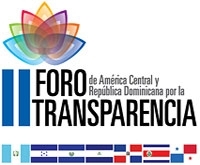 This is why the Second Central America and Dominican Republic Forum for Transparency will bring the main actors of the region together to address key issues for the anti-corruption agenda with the goal of moving forward from state levels commitments to real tangible changes in people’s lives.